Ten heavy duty pallet wrap dispensers branded by Pacplus. 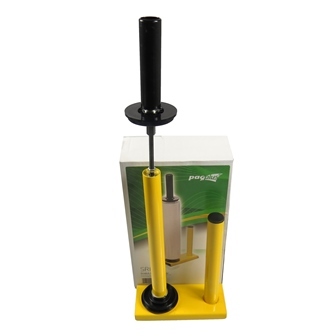 These dispensers have been designed with maximum efficiency in mind - lightweight at less than 1.5kg each, yet heavy duty and effective in its purpose. Suitable for both 400mm and 500mm widths of pallet wrap, and all core sizes.